This year, my holiday season has been crazy. I’ve been running around just trying to keep up, and my Christmas spirit was seriously lacking a few days ago. It used to be that I wasn’t really into Christmas anyway and my “spirit” was always lacking. My kids would beg me to get out the decorations and make gingerbread houses, and I would groan inside. It all just seemed like so much work. But, my kids are getting older, and I see my perspective shifting into a better view. What I’ve realized now is that the holidays are really special if you can take the time to see them through your kids’ eyes. Since we’ve been so busy, I decided not to go on a last-minute ski trip my husband wanted to take. 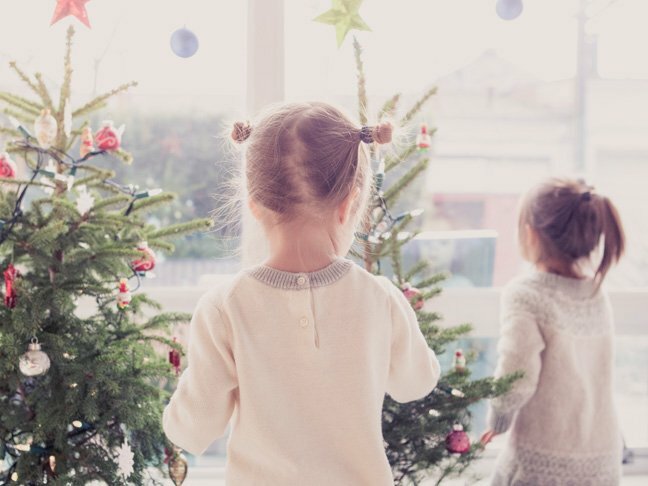 I felt guilty because two of my three kids were going, but it was so close to Christmas and I just didn’t want that added stress. So, last night, when it was just my youngest and me at home, I suggested we go hop in the car and look at some lights after dinner. I needed some Christmas spirit and we were going to go looking for it. I took him to a street in our town where residents go all out for Christmas. When I pulled up, I thought, “Really? This is it?” But, my 6-year-old in the back seat was already oohing and aaaahing and pointing out the blow-up minion with a Santa hat to me. What I saw was a sad attempt at Christmas light decorating made by a little street on a quiet cul-de-sac and it was really nothing special in my eyes. But, what he saw was something beautiful, magical, and fun. I turned the radio to some Christmas music, and I saw it through his eyes. And, I have to say, it was the most Christmas-y I’ve felt all season. I just had to see it the way he was seeing it. When we finished the short little trip, I asked if he wanted to drive across town to another street I had heard about or go home. “More lights!” he yelled excitedly from the back seat. I couldn’t help but oblige and smile as Rudolph the Red Nosed Reindeer came on the radio. As my kids get older, I realize how important it is to slow down and soak up the magic. I used to groan at that pesky Elf and having to move him every night during the busiest month of the year. I used to be frustrated when neighbors would drop by with plates of cookies, and I’d feel guilty because I hadn’t had time to bake my own. I used to tap my foot impatiently as the kids wanted me to read them another Christmas story at bedtime because I had so much to do after they went to bed. And, I used to dread playing Santa. But, now I have an 11-year-old that I’m sure won’t “believe” much longer. I have an 8-year-old who is already starting to question the tooth fairy, and a 6-year-old who has so much joy for life in general, that you can’t help but feel it when you’re around him. And, so now, Christmas is quickly becoming my favorite season. It’s busy, yes. In fact, this year I’ve felt busier than ever before. But, I’m finally seeing the magic and clinging to it. Seeing my kids light up when they find the Elf puts a smile on my face every morning. Putting lots of thought into Santa gifts this year has made me excited for Christmas day. Visiting family is something to look forward to, and, having a big girl that still believes makes my heart happy. I don’t really regret being a little Grinchy in years past. But, I’m happy I’ve learned to love something that is so special to my kids. And, more than anything, I’m grateful that this year we still have believers. And, the magic is here for one more year. Meredith Ethington is a writer and a mom to three, trying to help her kids understand sarcasm and her need for personal space. Meredith's debut parenting book, Mom Life: Perfection Pending, provides an uplifting yet realistic look at all that is expected of moms in the 21st century and is now available on Amazon, Barnes & Noble, and at Absolute Love Publishing. 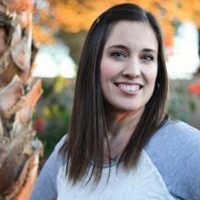 She proudly writes for many of her favorite parenting sites, including Scary Mommy, Babble, Momtastic, and on her own blog. Follow her on Facebook, Instagram, and Twitter, where she loves to laugh at herself and admit that while parenting is the best thing ever, it's also the hardest job on earth.